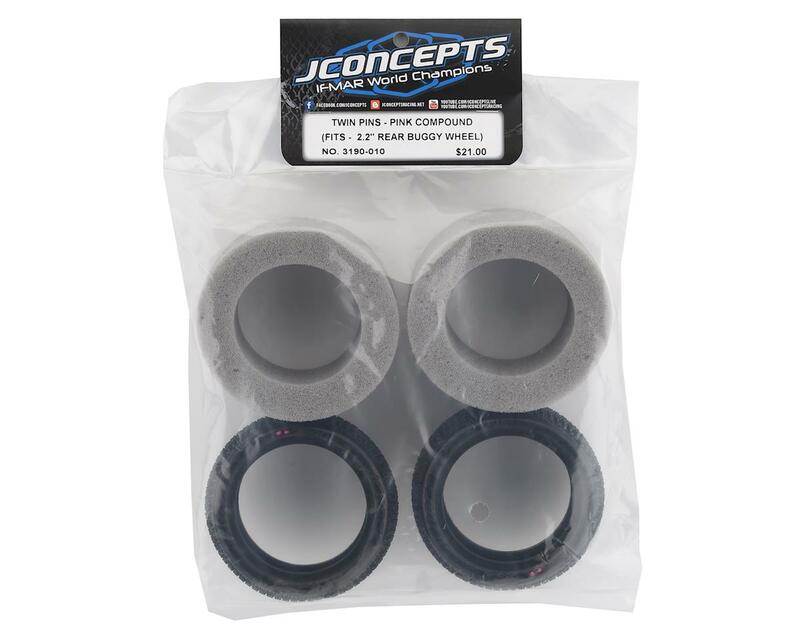 The JConcepts Twin Pins Carpet 2.2" Rear Buggy Tires deliver a ground-breaking design that has the competition scratching their heads. The Twin Pins feature a dual spike which is connected together to form a mini-mountain like silhouette. The Twins are rotated throughout the design to form a solid, pin rich environment so surface area is maximized. 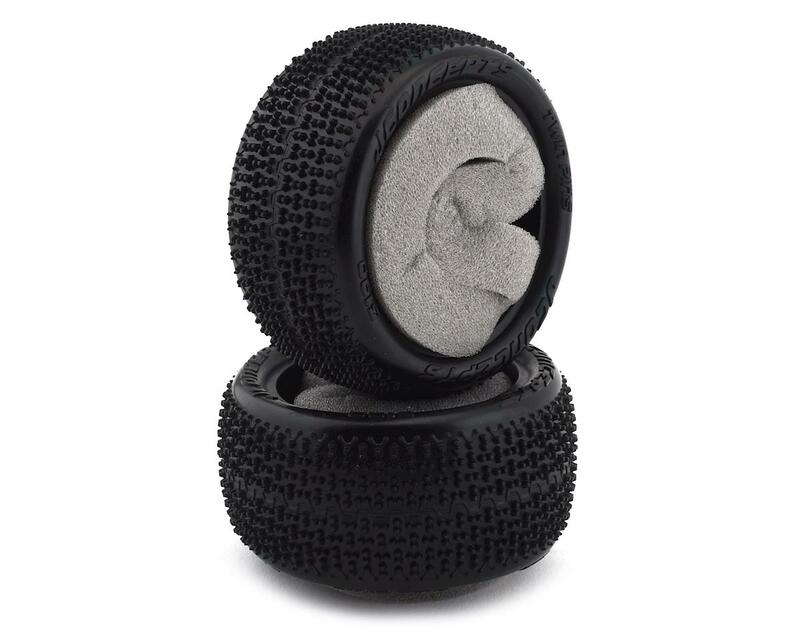 The tire carcass itself has been refined, slammed to low-profile, high-speed standards and slimmed out to reduce weight in all possible areas.